Working with children who reject a parent after family separation is the most toxic environment for any practitioner to be involved in. At times I find myself having to step away and do something different for a while, so extreme is the negative projection coming my way. Those of us who are right in the thick of it and by that I mean actually doing the work not simply writing reports or sitting on the sidelines commentating, know that when we get close to the heart of the matter, all hell breaks loose as the personal becomes very much political in the fight to win the day. The problem with parental alienation is that it involves the deepest distortions of behaviours and belief systems of families which have been affected by trauma in generations gone by. This trans-generational trauma repetition is a compulsion repetition which is stronger than reason or rational thought because it is embedded in the epigenetic tags of the family of origin. Put simply, the experiences of the parents are passed as markers to the children who are shown to have a propensity or weakness in particular areas. Will we find out in decades to come that this group of children who become alienated are pre-disposed to this reaction because they are born to parents who carry epigenetic changes and pass them forward into next generations? I don’t know, but I do know that there is a set of recognisable markers in alienated children which are so remarkably similar that it doesn’t require me to stretch my imagination far to believe it. The deep distortions of behaviour and belief in alienating parents are fascinating, powerful and threatening all at the same time. The manner in which alienating parents can inveigle others into their belief system is utterly compelling and those professionals such as social workers and CAFCASS workers who have not had personal therapy and so go into this work without any self awareness, will soon find themselves caught in the quick sand of reproach, blame and the particularly poisonous double bind of triangulation. Triangulation which is always present in parental alienation, is the use of others not present to ‘prove’ that the triangulating party is innocent and wholly correct. Triangulation makes a practitioner feel anxious that they are missing something and conscious that they are potentially going to be landed with the blame for the problems being discussed. Triangulation is toxic, secret and extremely manipulative. It preys upon the personal anxieties of others and draws them into a blame game which is entirely designed to draw the eye away from the person who is using the behaviour. Triangulation is present when children blame one parent and align to the other, it is present in the court room when evidence is presented from those not present and it is present in the belief systems of those who challenge the reality of parental alienation in their counter challenges to the experts who do this work. I see triangulation, blame projection, lying and splitting all across this field of work. Some will be aware of the splitting that went on in recent years as I was continuously denigrated by a self proclaimed world leading expert who wrote reams of untruths about my work. His behaviour is mirrored by others who have done their very best to damage my work in the past and are now busy trying to undermine what we are doing in setting up the European Association of Parental Alienation Practitioners. And these are people who supposedly understand parental alienation. Toxic in the extreme, these people profess to be deeply reflective, but are actually powered by their own unresolved past and it is those drivers which are so telling in the negative transference. I woke up this morning to a twitter comment from a parent who told me that I put abused children with the parent who abused them. She knew this because…..well because she has a mindset which allows her to only see this issue from one angle. My guess is that she is an alienating parent whose children have been taken from her and her closed and distorted belief is that of a parent who cannot believe that this can happen. Her exact accusation was that I am an expert who removes children from their mothers and gives them to their fathers. Given that 49% of the reunification work I have done in the past five years is about reuniting alienated children with their mothers, the reality completely confounds her belief system. Not that she could ever recognise that or engage with it in anyway. Her mind is closed and her belief is fixed. Much like many of the professionals who profess that parental alienation is a controversial concept. From where I stand, as someone who has reunited children with mothers and fathers and who has worked with families affected by parental alienation for many years, the personal and political partisan positions which are adopted by people who are involved in this work are both worrying and deeply damaging to the children we are trying to help. From the social workers who cannot allow work to be done with an alienated child in the manner which works (because their own personal anxiety prompts them to interfere) to the CAFCASS officers who have no framework of understanding, no training and no self awareness and therefore are left to rely upon their own personal reactions to a case to make what are life changing decisions for children, the damage being done to children is immense. In meetings with social workers I have found myself working with their own personal subjective opinions rather than any kind of objectivity about the wellbeing of the child, to the degree where before I can help the child, I have to provide a sort of therapeutic reassurance service to calm the belief systems of the social workers. I say it repeatedly, parental alienation is a specialist area which requires specialist intervention. No-one should be venturing into working with a family affected by parental alienation without knowing exactly who they are and without having done the work of conquering their own demons first. To be involved without such protective self awareness is to soon find yourself bound in the traumatic landscape of the toxic past of a family, with people who are profoundly wedded to their distorted belief system. Social workers and CAFCASS workers who hold disproportionate power to the skill set they possess do incredible damage to a child AND parents when they go crashing around proclaiming their own personal and political view points. (Which is why so many alienated parents find social workers and CAFCASS officers both terrifying and deeply harmful to their situation). An alienated child is trauma bonded to the negative past of a parent and as such is in deep trouble. The only people going into that landscape are people who know their own mind, are aware of their scope of expertise, have resolved the ‘hero’ complex (which is when people are doing this work for personal gain or worship from others) and are proportionally skilled to the power they hold over the lives of others. If I had my way, any mental health professional who does this work with families would require a decade or more of therapy BEFORE they enter the doors of this particularly toxic environment. It would save them and the families they work with from harm. In my early days of doing this work, I was mentored and guided by a psychiatrist who had been analysed, meaning that the person who supervised me knew himself to the very core of his being. Remaining disentangled whilst being utterly human with the families we work with was one of the first things I learned in how to successful reunite a child with a parent. Moving on and letting the family do its own repair work after the initial intervention was the other. This is so NOT about being a hero, it is NOT about being idealised or worshipped. It is about healing others without any personal entanglement at all. When I reunite a child with a parent I get a healthy dose of love flowing in my direction as I am witness to the healing, but I never ever confuse that with the belief that I am somehow the possessor of magical powers. The magic lies in the love between the child and parent, the relational flow of love which is re-triggered by proximity. If I have any magical powers at all, it is simply that I am willing to tolerate the toxicity of the trauma to get the child to the place of proximity to the parent. And if that is a magical power then it resides in the fact that I know who I am, I have done the work of cleaning up the dirty linen, the bloody sheets are washed and folded away. I have exorcised the ghosts of the unremembered past in my own life, which means that when I encounter the ghosts in other lives, I recognise them and am not afraid of them. Several decades of therapy did that for me. The toxic hazards posed by personal, political and partisan belief systems, which become entangled with the trans-generational traumas of the past are a head on collision are caused by professionals who have too much power and too little self awareness. This practice with these families should be stopped because it pours petrol on a burning fire and increases the toxicity ten fold. 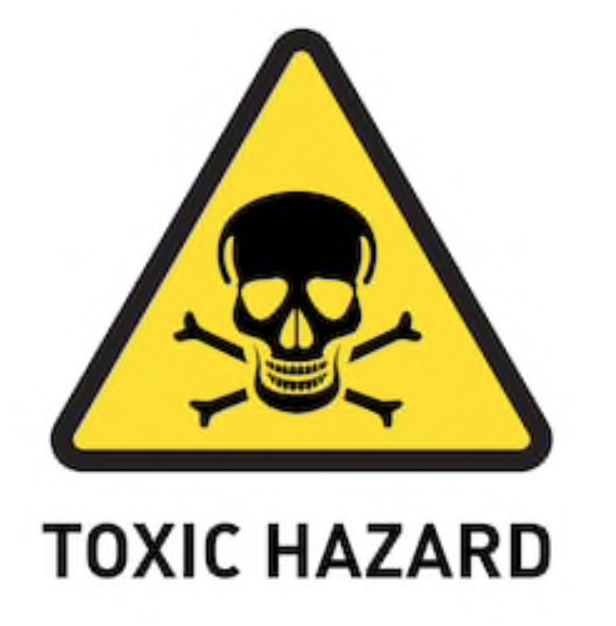 It is time the toxic extremities in parental alienation were cleaned up. EAPAP begins this work in the coming week at a meeting of the Board in France. One day soon we will have a workforce with the skills and self awareness to do this work as it should be done. And then the toxic hazards will be reduced instead of being repeatedly inflamed. I am working hard towards that day. We will be returning to the work of the European Association of Parental Alienation Practitioners during this coming week and will be working on the website, the film and audio recordings from the conference and other materials which have been made available to us by the presenters. The work on EAPAP has been delayed due to our own personal circumstances at the Family Separation Clinic. We will update you as soon as this work is done. Thank you to Karen for continuing in a very toxic field. For those of us who suffer every minute of every day, I say thank you. I am the mother of three children. It has been proven by three therapists and a forensic evaluation that their father is alienating me from them. The court system does not see a resolution so they plan on giving him custody. My heart is broken and I am so disgusted with the system. The generational aspect is so true. I was so focused on my individual family crisis that I never saw the forest for all the trees. Years into it, after spending time with cousins who were doing an unrelated extensive family tree project, I decided to sit down and draw out a genealogy chart for xW’s FOO. And there it was – staring me in the face. Three generations that I knew, three disordered schisms, all with their particular flavor. Karen – do you make use of such diagramming? For me it was so true that a picture (my scribbling) was worth a thousand words.